US President Barack Obama's last trip to Africa before his term ends will take him to Kenya and Ethiopia, where he'll be the first sitting US president to visit. Obama first toured Africa nearly two years ago, making stops in Senegal, Tanzania, and South Africa. […] the Ethiopian authorities continue to severely restrict the rights to freedom of expression, association, and peaceful assembly, using repressive laws to constrain civil society and independent media, and target individuals with politically motivated prosecutions. Muslim protests against perceived government interference in their religious affairs were met by security forces with arbitrary arrests and detentions, beatings, and other mistreatment throughout the year. The trial of 29 protest leaders who were arrested in July 2012 has been closed to the public, media, and family members since January. Others convicted under the country’s deeply flawed antiterrorism law—including opposition leaders and four journalists—remain in prison. Last month, Ethiopians voted in parliamentary elections, where opposition parties said the voting was not free or fair. The African Union said the elections were peaceful, but fell short of using the words “free and fair.” While noting that the elections were peaceful, the US State Department expressed concern about restrictions on civil society, the news media, opposition parties, and independent voices and views. 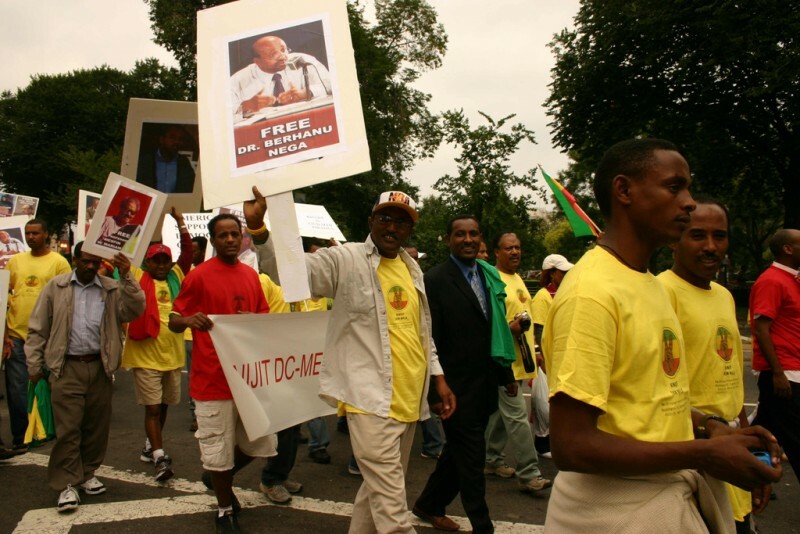 The ruling Ethiopian People's Revolutionary Democratic Front (EPRDF) and its allies won all parliamentary seats, including the only seat won by the opposition in the 2010 elections. The EPRDF has been in power since 1991. 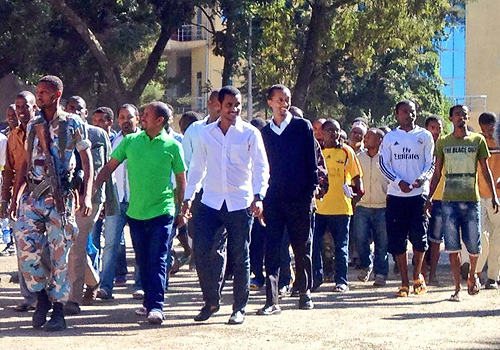 Ethiopia's elections are just an exercise in controlled political participation. Ethiopian police, moreover, have routinely arrested and jailed bloggers and online journalists. Ethiopian blogger and GV author Endalk Chala says the suppression of freedom of expression online is not a surprise. The second most populous nation in Africa has only one Internet service provider, which is owned by the government. In April 2014, nine bloggers and journalists were arrested in Ethiopia. Several of these men and women had worked with Zone9, a collective blog that covered social and political issues in Ethiopia and promoted human rights and government accountability. In July, they were charged under the country’s Anti-Terrorism Proclamation, a policy that was written with robust support from the United States government, as part of a broader effort to suppress organized crime in the Horn of Africa. The bloggers have been behind bars ever since, and their trial has only seen progress over the last few weeks, since the close of national elections. The country's troubles with bloggers aren't new, either. 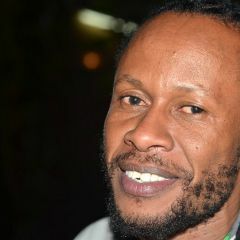 On July 13, 2012, Ethiopia's federal court sentenced a prominent Ethiopian blogger, Eskinder Nega, and 23 other opposition activists to 18 years in jail for allegedly participating in terrorist activities. Human rights and good governance activists and other Twitter users reacted with shock and dismay. 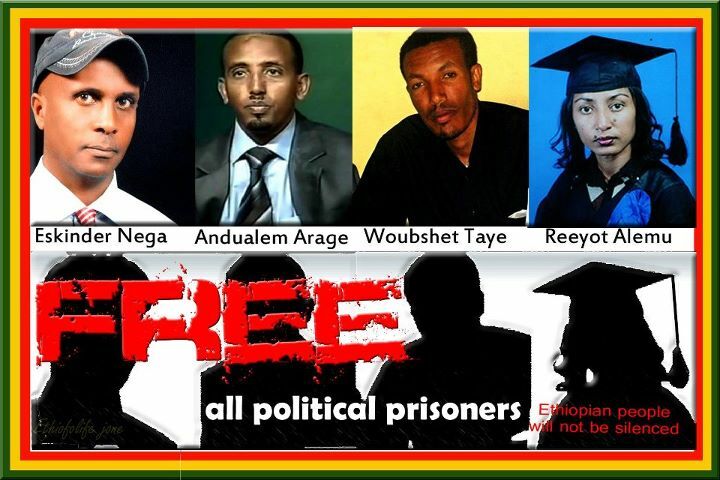 Facebook image calling for the release of all political prisoners in Ethiopia. Image courtesy of Ethiopia Mitmita Facebook page. I strongly oppose OBAMA shaking hands with the devils in Ethiopia next week.